Winning a scholarship isn’t as hard as you might think, there are certain tips that can help you maximize the process and achieve your goal of winning a study scholarship. Below are 8 helpful tips for getting a study scholarship. When trying to get a study scholarship, you need to start your search as soon as possible because if you wait till the last minute you will miss half the deadlines. There are many scholarship schemes out there for you to take advantage of, you just need to start your search as soon as possible, even before your final year if possible. 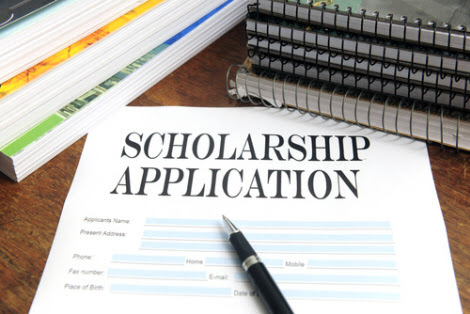 Be sure to consider scholarships from private foundations and government bodies, in addition to those of the universities you intend to apply to. Even company scholarship schemes, should be considered as long as you’re eligible. This is one of the best strategies to ensure you win at least one scholarship. If you work hard and are able to win more than one, you will have options to choose from. In addition, some of these scholarships are in form of monetary grants, and if you are able to win enough of these scholarships, the money can add up into what can sustain you as a full scholarship. This is more of a precautionary move, in case your online profile is considered during the screening of your application. Ensure you use a professional email address on your applications and clean up the content of your social media accounts, removing inappropriate and immature material. There is nothing like a ‘guaranteed scholarship’ and you don’t pay an application fee for a scholarship. Don’t be too eager or desperate when searching for scholarships, so you don’t fall into the trap of fraudsters. Ensure you confirm the credibility of whatever private foundation or government body you intend to apply to, before going forward with the application. This is because there are some fraudsters out there posing as ‘scholarship companies’ to take your money and disappear. You, therefore, have to be smart about your scholarship search. You shouldn’t be looking to get the necessary application documents together at the last minute, instead you should ensure that all documents that are likely to be required are ready or you at least have a way to easily get them ready when needed. You shouldn’t try to get needed documents together at the last minute to avoid making mistakes with your application and missing important deadlines. Scholarships with smaller awards are usually less competitive and easier to win, so you can consider applying for these. To maximize this option, you can apply for as many of such smaller scholarship awards that you’re eligible for, and work hard to win as many of them as you can. Eventually, the awards can add up to something significant enough to help you with most of your study goals, if not all. Try to figure out what is expected of you on the application and be authentic with your delivery of this. Brush up your essay writing skills and refine them to excellence so this can help boost the strength of your application in the essay writing category. Basically, do your research well, and ensure you give all it takes to submit an outstanding application by all standards. Yes, you might get a few negative responses on your scholarship applications but it’s not the end of the world. Don’t give up. Even if you don’t win a scholarship on entry into higher institution, you can still continue to apply for some available to you while you’re studying. Eventually, you will get one because like most things in life, the most successful scholarship winners are the ones that keep trying. Don’t let failure stop you, let it be a stepping stone to your success story.